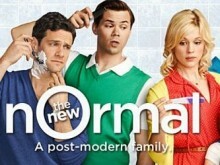 An NBC Utah affiliate has yanked Ryan Murphy’s forthcoming sitcom, “The New Normal,” from its fall lineup, according to The Salt Lake Tribune. The station, KSL, which is owned by the Latter-day Saints church, refuses to air the show about two gay men who go through the highs and lows of parenting their new baby. Posted August 27th, 2012 & filed under Entertainment, News.